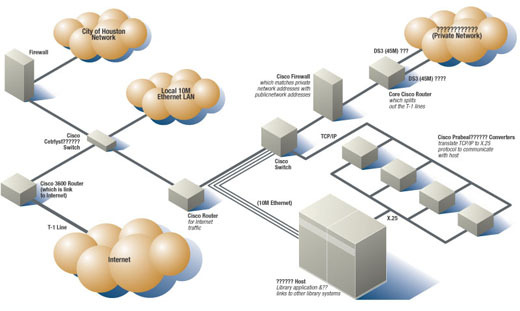 The Houston Area Library Association required a simple visual diagram to communicate how their library system would be upgraded an connected via emerging Internet-based technologies. This diagram was developed by Randal Birkey in 1998 and created using Adobe Illustrator software on an Apple Macintosh computer using a Wacom tablet. This vector art style was delivered as a digital illustration file to the customer via email.